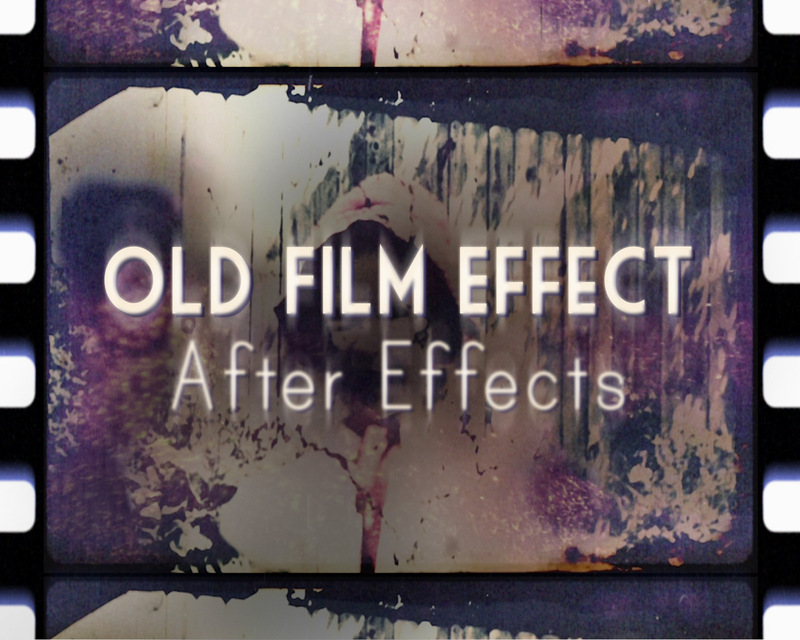 Creation Film Effects for After Effects is a huge collection of authentic-looking effects for making your footage look like old or damaged film. It comes with 40 film-look presets, ranging from the earliest experimental films of the 1800's to a modern day film look. Watch the Demo Video for Creation Film Effects. Creation Film Effects is a huge collection of high-quality film effects with 40 presets for old film-looks. Presets range from the earliest experimental films of the 1800‘s to a modern day film look (preview all 40 presets at the end of the demo video). All effects are either produced from authentic film footage or inspired by real film glitches. You won’t find higher quality or more authentic effects in any software or plug-in out there. Just drop in your footage and any of the presets are ready to export. You can also easily build your own film-look by adding any of the 300 customizable effects to your main comp. Effects are neatly organized and easy to apply. The majority of them are “copy-and-paste effects”, meaning you simply copy and paste an effect layer over your footage layer. Most effects can be customized using easy-to-use slider controls. These slider controls affect the main characteristics and behaviors of effects using expressions. All effects (except for intros, outros, and transitions) are endless, meaning your comps can be set to any length. This template includes a Light Leak Generator and a Texture Generator. Both are sold at the Creation Effects website as standalone templates. These are powerful tools that can be useful for many projects to come (not just old film-looks). Learn more about the Light Leak Generator here. Learn more about the Texture Generator here. Also included in this template are authentic effects for blurring, film burns, color correction, camera shake, a variety of flickers, intros, outros, light leaks, dust, hair, scratches, projector glitches, frame rate changes, grain, vignettes, projector and camera audio, and much more. This template is compatible with CS3 and up. No plugins needed. Music and video placeholders (footage of family) in preview are not included.